Seriously. ERA is amazing! I've used it for about 2 years now and I would never use anything else. It's worth every penny. 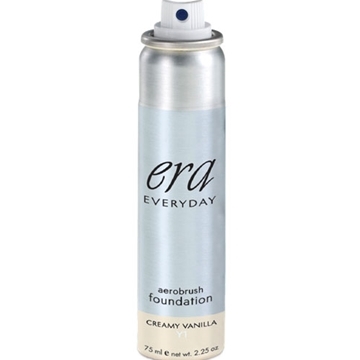 I've tried other spray foundations and they don't measure up to ERA. I agree with another poster that they've had trouble with whoever provides their sprayer. I've had to send a couple of cans back but their customer service is excellent and they have sent me replacement cans very quickly. I had order my first color from a HSN and I ordered the wrong color. After reviewing the example given for each color, I wil reordered and used the color I have as a highlighter. I had ordered the R8 and I need the R9. But I love the ease of spraying just a mist on your face and you are done. I have sensitive skin and I did not get an allergic reaction from this foundation.